Hypnotherapy can help you get back in touch with your mind body connection & take your physical and mental health back into your own hands. 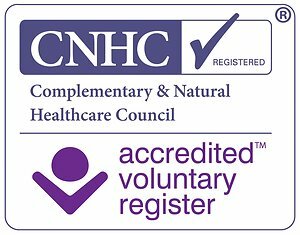 Registered and experienced Hypnotherapist specialising in physical well-being with qualifications recognised by the National Council of Psychotherapy and Hypnotherapy, the Health Care Practitioners Council, and the Complementary and Natural Healthcare Council. Additionally I hold numerous accreditations for my work as a reflexologist. Welcome to my website. I hope it offers you all the information you require, but please don’t hesitate to click on the link to email me, or call with your enquiry. Many clients combine reflexology with hypnotherapy as together they enhance the sense of well-being. The mind-body connection has been well documented, and the use of reflexology and/or hypnotherapy may bring benefit for a wide range of anxiety, medical, and pain related conditions. I also am an accredited Teacher of meditation and a Reiki Master ~ all techniques for well-being ~ I find hypnotherapy for the mind, and reflexology for the body the most direct methods. Each session is uniquely tailored for you. My aim is to help you achieve your goals in the shortest possible time, working at the root of the problem to produce long lasting change. Be assured I am fully qualified and insured, and choose a therapeutic approach. Reflexology and/or Hypnosis can assist with a wide range of conditions. I take particular interest in fears and phobias, anxiety and stress. Sub-fertility and maternity issues, both with hypnosis and as a reflexologist, have been of special interest for over 30 yrs. I am a registered Easibirthing ® Practitioner. There are many misconceptions surrounding hypnotherapy, but increasingly empirical evidence points towards hypnosis as a valuable tool in an integrative approach to healthcare. Our conditioning and beliefs may serve to constrain and limit us - you can change for good. Hypnosis is a very gentle, natural process that can help you better manage stress and anxiety. Hypnosis can be useful if you are trying to overcome something you have been struggling with for a while, such as fears and phobias. Hypnotherapy uses the power of your subconscious mind to help you to transform your life, addressing the root cause of your problem. My clinic is on the borders of Bickley and Chislehurst, a mile from the centre of Bromley in South East London and an easy drive from Petts Wood, Orpington, Beckenham, Greenwich and Blackheath. I have a ground floor clinic and parking is easy. Visit the individual therapy pages or the Contact Page of this site for fees and payment. Allergies, asthma, eczema and psoriasis, stress related conditions , irritable bowel syndrome, psychogenic infertility, some gynaecological problems, menopausal problems, eating disorders, obstacles to learning, motivation, concentration, sleep disorders such as insomnia or excessive snoring, nightmares or sleep terrors, fear of failure. Many clients come to Reflexology for help with: Back pain, headaches, hormonal or gynaecological problems, sciatica, digestive problems, and many more physical conditions.